How Is the Male Facelift Unique? Although more men than ever are undergoing plastic surgery, many providers still gear their procedures towards women. A patient’s gender is an important consideration when planning any aesthetic surgery, especially facial procedures. 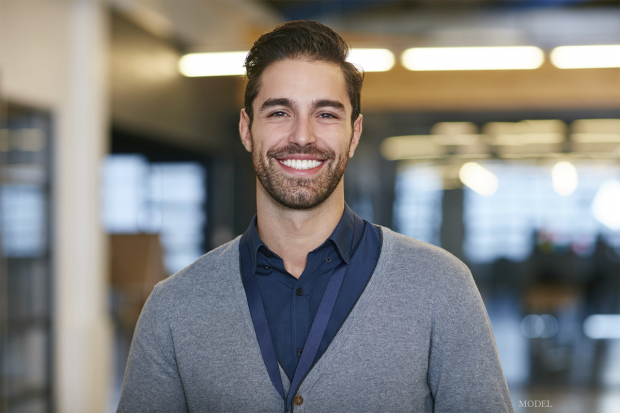 In this blog post, I’d like to highlight what makes the male facelift procedure–and patient–different from its female counterpart and discuss how I tailor the procedure for my male facelift patients in NYC. Although the objective of a facelift–to look younger–seems simple, my male patients are less likely to cite personal or emotional reasons for their choice to undergo surgery. My typical male facelift patient is between 50 and 60 years old and cites a work-related motivation for wanting a facelift. Many of the men who come to me for this procedure say that they need to look young, healthy, and energetic to remain competitive in their careers. It’s important to keep in mind that a facelift on a male must be performed using different techniques and a different perspective than a facelift on a female. We’ve all seen male celebrities whose cosmetic procedures resulted in a feminized appearance; an excellent plastic surgeon prevents such an outcome. The result should preserve the angular bone structure and more chiseled jawline of the male patient while keeping in mind other unique considerations. For example, male tissue is heavier and requires a more robust lift. On the other hand, the incisions typically heal much faster and better than with a female patient due to a better skin blood supply. If you’re a man in search of a sustainable, natural-looking facial rejuvenation option, facelift surgery may be appropriate for you. But how do you know whether you’re a candidate? First, it’s important to remember that any facelift procedure, whether for men or women, affects the lower two-thirds of the face. If you’d like to improve your upper face, including your eyelids or forehead, a blepharoplasty or brow lift may be more appropriate. The best candidates are healthy, nonsmoking men who wish to restore firmness and definition to their lower face, reducing the appearance of jowls and streamlining the jaw. Facelift surgery can improve the prominence of the chin without requiring an implant, as well as acutely define the contours of the neck for an attractive, age-appropriate profile. During any consultation with a prospective male patient, I like to discuss his motivations in depth. I ask him about his short- and long-term goals after surgery, and I describe the techniques I’d like to use to give him the results he wants.We welcome you to contact us at (212) 380-3634 with more personal questions or to schedule your visit.